Life is a journey and an opportunity to learn from our mistakes in the past. Growing up is all about making changes in how you do things and improving on yourself! One area that Zach and I are still growing in is our vehicles. When I turned 16 I got a car. Not just any car but the exact car I wanted. A brand new (leased) VW Beetle with all the options and everything. I know, spoiled much? I LOVED my car and appreciated it, but not in the way you do when you buy something yourself, ya know? Having that car as my first car kinda set me up for a future with expecting to have a nice vehicle every time I got a new one. We went from no car payments and barely a house payment to a house payment of over $1,000 a month and TWO car payments. We traded Zach’s Trailblazer in on a new Accord for him (which was a smart vehicle choice b/c he drives like CRAZY for work and it saved us a TON on gas). And we LEASED a brand new, top of the line, Honda CRV for me. I remember pushing Zach to get me the upgraded model b/c that’s what I was always used to having and I remember being pumped that I got what I wanted. The lease was for 3 1/2 years and within that time frame I’ve grown up a LOT and wish I could kick that Emily in the head so I would have thought it through better! Ignorance is bliss though right??? While the Accord was great on gas, it wasn’t very big and Zach’s a BIG guy. We also still had my white truck and it was parked in front of our new house (in the same neighborhood we live in now…). The association left us a letter saying we had to move it and it was during that time when they did Cash for Clunkers. We decided to trade the Accord and the truck in on something else for Zach. Something bigger, more comfortable, but still decent gas mileage. We ended up getting him a Ford Flex and he seriously LOVED that car. Probably his favorite car EVER!!! 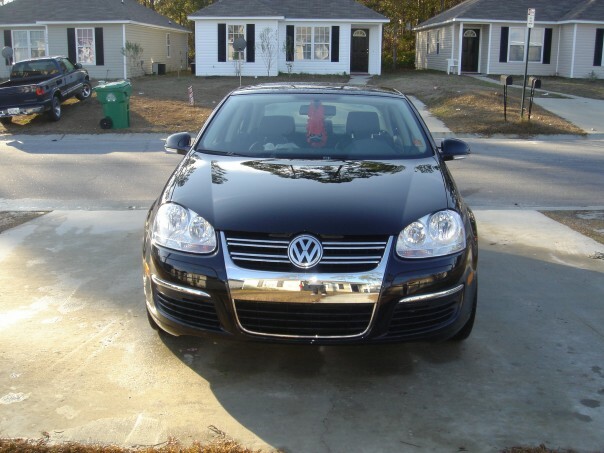 It was a perfect vehicle and was the best choice we made up until now with a vehicle (it was a 2009 that we bought in 2009 but was used with low mileage and we bought it instead of leasing). and highly recommend it to everyone (it’s a popular gift I enjoy giving!). He changed my outlook on vehicles and made me realize the stupidity of leasing. We will NEVER lease again!!! Zach and I started discussing the new car situation in August because I wanted plenty of time to make the right choices. My goals were: buy used, have money down, finance to OWN (not lease), finance for under 72 months, and have a total car payment each month close to what we have now. I knew not all of those goals would be possible. Leasing is THE cheapest way to own a car because it gives you the lowest monthly payment (it’s always the amount they give on those new car commercials!). So by purchasing rather than leasing, our monthly payment would have to go up. My goal was to be under $200 a month over what we pay now. In an ideal Dave Ramsey world we’d have cash and buy used cars with that cash then not buy new cars again until those cars die. That will never be the case for us. 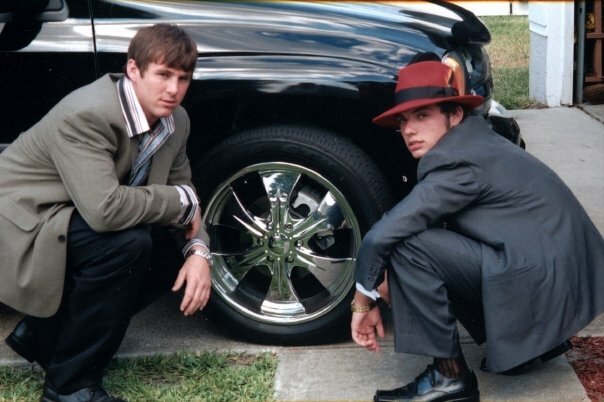 Zach’s Flex was 2 years old and had 86,000 miles on it. Safety is a factor and I don’t want to be worrying about him when he’s traveling so much. We’ve talked about it and decided that we don’t want Zach driving a vehicle with over 100,000 miles because then you get into maintenance costs and run risks of him breaking down or having other issues (the guy drives to Louisiana and Texas! He’s gotta be in something 100% reliable!). I fell in love with the Acadia and Zach was happy with a Malibu. (We both also liked the Ford Explorer and Fushion but they ended up costing more with less features and space than the Acadia/Malibu!) While the Acadia is GMC and Malibu is Chevy, they are owned by the same company. We worked with our local dealership and the best price they’d give us was $400 MORE a month than we were paying now. They did have a deal going for 0% for 60 months which is great (and meant we’d buy new ones since it worked out to save us more money than buying used would) but we gotta be able to afford the monthly payment too! We then worked for weeks with a guy out of Florida who has given Mr. Rusty some awesome deals. He was really nice but wasn’t able to find us the vehicles we were wanting. It was through talking to the guy in Florida that I found out the Chevy Traverse is practically the same vehicle as the GMC Acadia…it just looks different on the outside and it about $4,000 cheaper!!! I started hunting for a Traverse! I am VERY proud of myself for my changing in the way I think about a car. All my new cars have had a sunroof (which I love) but looking at the pricing and realizing a sunroof alone is $1200 extra I knew I didn’t need it. I was okay with cloth (a first for me!) and basically didn’t even care what the vehicle looked like. I just wanted the size and price to be right! I’m a straight up MOM now so I’m not gonna be looking hot in any vehicle (my bug would get me a LOT of looks b/c guys knew a chick was driving that thing! ), the important thing about a vehicle to me now is how comfortably our family can fit in it! I’m proud of myself for how well I did b/c I know we got the best price possible. It ended up working out for it to be cheaper for us to buy two new vehicles than buying used. It disappointed me because I wanted to buy used but I wasn’t willing to pay $20 more a month to have two cars with almost 30,000 miles each on them when I could pay $20 less a month for vehicles with NO miles! Um, no brainer. We worked out all the deals on Saturday and I know I got the BEST possible deal from them because I pushed the sales guy to the point of getting mad at me haha. I tried to get him to throw in the luggage rack on my Traverse and he lectured me on being respectful to him trying to earn a living too 😉 You know you got a good deal when they get to the point of being willing to walk away, right? We weren’t able to achieve all our goals: we didn’t buy used, we did have to do 72 month financing, but we are financing to OWN them both, paid a LOT of money down, and have a total car payment each month pretty close to what we did before (Zach actually thinks we’ll be saving the difference in the amount he’ll save on gas so it’ll hopefully be right at THE same cost!). Jim Ellis was SUPER awesome! I called them Friday evening and we called each other back and forth working out the pricing and were done making the deal by Saturday at 3. Then they drove both vehicles down for us and took our trades back (we got great trade in value on my CRV b/c the low miles and still made out ahead on Zach’s Flex even with his high miles!). My new ride is a 2011 Chevy Traverse 2LT. They were able to work us such a great deal because BOTH vehicles were sitting on their lot (the other dealerships would have been ordering the vehicles for us so they were WAY higher) and it just so happened to work out that they had a Traverse with dvd and tow! The price for the “more loaded” version was still cheaper than the price the other dealerships were giving me and it saved us the hassle of having to add them after market. So far my favorite feature is the back up view camera and I know I’ll love the bucket seats and power lift gate too! The amount we ended up financing (including taxes and fees and such) is about $9,700 lower than the sticker price on this vehicle! Did we get deals or whhhhat?!? I’m enjoying the new vehicles and I appreciate them in a way I never have a car before. I feel like we really worked HARD to get these cars and I learned so much from the experience. If you’re dealing with a dealership here’s a few tricks I learned: Don’t mention you have ANYTHING to put down until you get their lowest offer, then throw it in; Look up your trades on Kelly Blue Book (use the “good” not “excellent” condition) so you can give them a rough estimate of how much it’s worth; Tell them EXACTLY what you want price-wise and don’t settle for more than you told them (don’t tell them the highest you’re willing to go either! ); Be flexible with what features/colors you want so you can get a better deal; Buy something they have ON THEIR LOT and mention getting a “hold back” discount (I don’t know what that is exactly but I was told to say that and it worked! ); Don’t be afraid to go back and forth with them on prices, they CAN and WILL go lower; If possible do it over the phone and not in person because they will try to wear you down and make you just want to get out of the dealership; Know exactly what vehicle you want and “build your own” on the company website so you’ll know how much the starting cost is (I had one dealership say they were giving us a “deal” when it was actually MORE than I could have bought the same vehicle for online!). I’m hoping that we can keep these vehicles for a LONG time (Who knows! Maybe three kids will fit in the Traverse!) as I really don’t want to go through this headache again anytime soon. Next time I’m hoping to have even more saved up to put down, to pay off extra on these cars so we’ll owe less when we do trade them, and be able to finance for 60 months. I feel good about our choices and proud of myself for working out the deals we got…I feel like I learned a LOT and am so glad to be DONE with all of this!!! People used to think I was crazy for not caring about what kind of car I drove. Granted, I didn't want some clunker but I never felt like I HAD to have a new car. I've only had 2 cars in my life, LOL. My parents bought me a '93 Camry for my 16th (it was 6 years old) and I think they paid like $6K for it and it had 117K miles on it. In 2004, we sold it for $4K and it had 279K miles on it then (crazy, right?!?! Other than needing new brakes, it was in the shop ONCE…man, I loved that car!) I bought my Trailblazer (first car I bought by myself) and I still drive it. It has like 160K miles and it's been paid off for 3 years. As much as I would LOVE to have a "new" car (I want a van!!!) I just don't want another car payment right now. We bought Keith a Ford F150 and we still owe 2 years on it so our family's goal is to only have 1 vehicle payment at a time and to never finance over 4 years so we never get "upside down". Hopefully we will always stick to that!! I love both of your new cars!!! I am glad you had a good experience with Jim Ellis (WE HAVE NOT!!!!!!!!!!) I haven't gotten the whole story but Greg's parents mentioned that they had to threaten or actually did file a lawsuit against them. I took my car there for a recall to be fixed and they refused. We had another issue with them and Greg's car (we obviously did not communicate- haha) I love the color of your car, is it big enough? Are you only going to keep it until you have a 3rd baby? My Rogue has blut tooth and the back-up camera and I LOVE both of those features! The cars look great and I can't wait to see yours in person! I have had three car seats, 3 adults, 3 strollers and a days worth of big shopping. I have the 8 seater not the bucket seats but still it can hold quite a bit of kiddos! We absolutely love the traverse and all thing Chevy! I'm excited to get Jason's new truck on the Dave plan…a few years from now that is!! 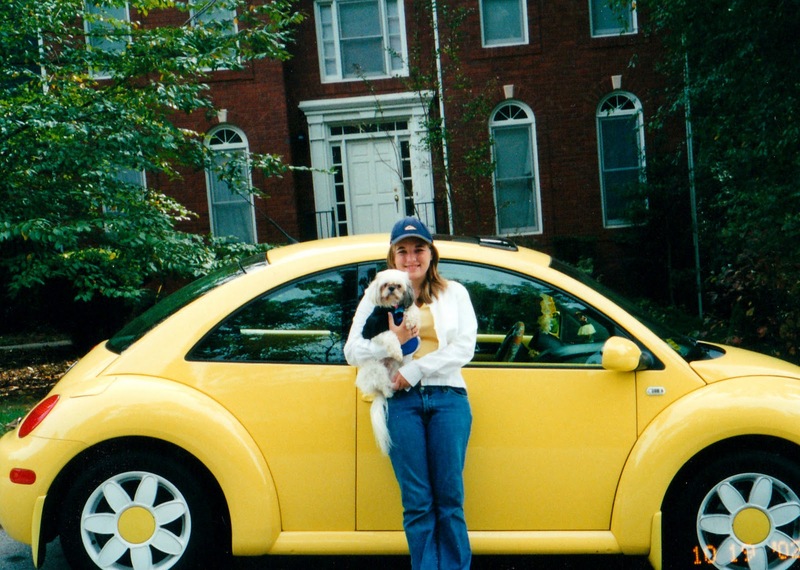 @91ddb49b23c85dd62065741fa42f7b4a i LOVED my bug! isn't it totally "me" ? I miss that thing!!! thanks for the motivation with keeping the car longer than 100k…with what a PAIN all this was we may try it to avoid going through this hassle! 😉 thanks again for ALL your car help! And it's funny I've been wanting an Acadia for several years too but Justin has been eyeing the Traverse. Now I love it!!! But those things USED are still right at $40,000! @9acbdc91c9a4e594ce3ef16ef1a7e6d3 ohhh lucky you!!! MEMORY SEATS!!! i wanted an LTZ so bad b/c the memory seats! but that was the only feature i Realllllly wanted so I gave up on it 😉 4 kids can DEF fit in it for daily use, my issue is travel space with luggage and all! i def don't think we can travel as a family of 6 in it but I'm confident we can use it till at LEAST kid 3 🙂 i agree on getting what you want though for sure – tow and dvd were vital for us and when the one they had came with those features i was sold! hope they worked you a good deal like they did us!!! !